Since, dear Reader, I know that you are a person of some significance, I have little doubt that the time will come when you need to visit the President of France. For the occasion you will require an hotel within a few moments’ stroll of the Elysée Palace, in the very grandest part of town. 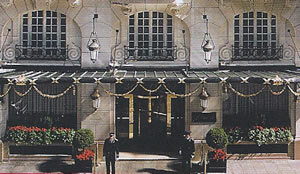 And, as someone of taste and refinement, you will need your lodgings to be of unsurpassed (but discreet) elegance, to be possessed of a restaurant which is recognised as one of the very finest in the French capital and to be served by a staff which is renowned for the virtues of courtesy and propriety. You will therefore head for Le Bristol. In 1925 the architects Ubdenstock and Cassan constructed on the rue du Faubourg Saint-Honoré a handsome pile in the manner of an 18th century town palace. Into it were taken Gobelins tapestries and fine pieces of period furniture. Then, just before the Second World War, the Louvre Museum decided to sell some of its ‘spare’ paintings, and many of them went to the hotel. 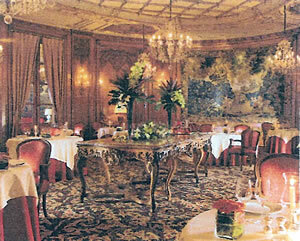 The result is that Le Bristol is a treasure house of good taste and delicate refinement. It is entirely appropriate that it should be named after that renowned 18th century traveller and aesthete, the 4th Earl of Bristol – who was also the Bishop of Derry. I am sure, from his heavenly perch, he would approve of the delightful fountain from his own day, which – newly restored – now adorns what is the largest hotel garden in Paris (pictured). 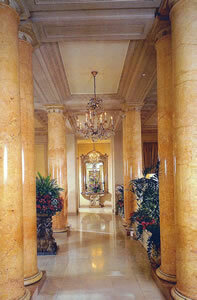 I certainly approved of the atmosphere in the spacious entrance lobby. I seldom arrive at a great hotel without having in my mind some image of its previous guests. 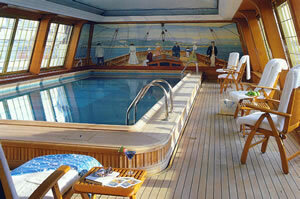 At Le Bristol I knew that I had been preceded by Harry Truman, Charlie Chaplin and Marilyn Monroe. This medley of high politics, low comedy and blonde iconography kept me smiling as I was taken up to the third floor in the beautiful lift. Room 311 is called a ‘Prestige Double’ and is therefore 810 euros a night for two, breakfast extra. Beyond its proper hallway I found an oval chamber in cream and white. (The colour scheme throughout the hotel’s 162 rooms is similarly light.) Behind the mirrored doors of the fitted wardrobes was both an abundance of hanging space and my private safe. Lighting was provided by 5 table lamps and a (dimmable) crystal chandelier. Items of furniture, like the chairs and writing desk, were in the Louis XVI style. A sofa provided soft seating and the controllable air conditioning ensured that the temperature was to my taste. 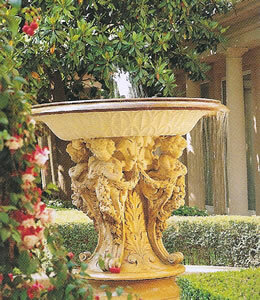 In the white marble bathroom (of generous size) were two wash basins, a tub of good capacity and a separate shower. Bars of my favourite soap (by Hermès) facilitated my ablutions. All in all, I found this accommodation to be quiet, spacious and comfortable. Still, I am a restless little soul, so I was soon on my way downstairs for tea. Those of us who are English tend to suppose that we alone, among all the nations of the world, can prepare a proper afternoon tea. We are wrong. 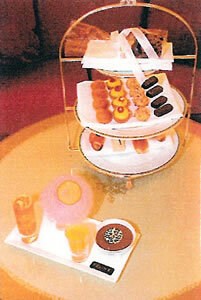 The set afternoon tea at Le Bristol (pictured) is a small masterpiece for 30 euros. Overlooked by a portrait of Marie-Antoinette by Drouhais (not quite as appropriate as some might suppose, for when the Queen said, “Let them eat cake”, she was actually – rather sensibly – enquiring whether the hungry might be fed with brioche) and served by a charming waiter called Vincent, I was deeply impressed by the superb quality of these sandwiches and cakes (the work of the Pastry Chef, Laurent Jeannin). The taste of the gorgeous coffee éclair, topped with gold leaf, remains with me still. I chose to drink Assam tea – favori des Anglais, as the menu informed me. But here was a mystery. I looked into the pot, and looked and looked. Where were the tea leaves or the tea bags? Nowhere. My puzzlement was dispelled by Vincent: the guests’ tea pots were filled from larger tea pots in the kitchen. I had never before come across this arrangement. Thus fortified, I wondered whether to stretch my limbs in the swimming pool on the 6th floor (pictured) or submit myself to a bit of pampering in the hotel’s Anne Semonin Spa (pictured). But a pleasant languor began to overtake me, so I decided instead to return to my room for the afternoon doze. This was a ritual much loved by my father, and I commend it to you. It prepares the constitution for dinner. 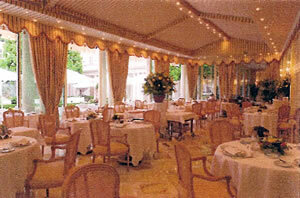 Le Bristol has two dining rooms, one for summer and one for winter. 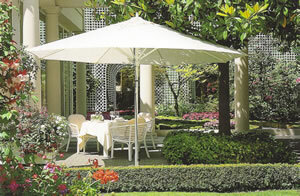 The former (pictured) is bright, flooded with natural light and overlooks the hotel garden. 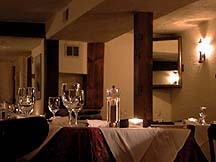 This being in the October to April period, my destination was the Winter Restaurant (pictured). It is my custom to dress as well as I can for dinner – starched collar, suit from Savile Row, bespoke shoes and so on – and I was particularly pleased to have done so on this occasion. To enter this ravishing and sumptuous apartment was a joy. Chandeliers of Baccarat crystal, Regency panelling of Hungarian oak, paintings from the 1920s by Gustave-Louis Jaulmes and 18th century Lille tapestries combined with the warm colours of thick carpet and silk upholstery to make me feel thoroughly pampered and at ease. 1st maître d’ Christophe Macaigne showed me to a red fauteuil and immediately had brought a cushion to ensure that my back was comfortable – helpful fellow. Indeed, the service throughout the evening from waiters in black tie, like Fabrice Torres, was of the highest order. Silver domes were lifted and damask napkins were replaced with style and aplomb. I noticed that a famous film star and her husband had arrived at a table nearby, but this caused no ripple whatever on the calm surface of the room’s atmosphere. All was peaceful, happy contentment – which is just what I want at a restaurant. 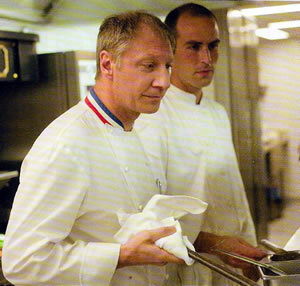 Chef Eric Frechon (pictured) has two Michelin stars. He has worked in some of the most prestigious kitchens in Paris – at Taillevent, at Tour d’Argent and at Les Ambassadeurs. His cooking at Le Bristol is much admired. He offers a 7 course set dinner for 190 euros. My four courses from the carte cost 279 euros. These prices are not low, of course, but they are for food which is based upon the very finest ingredients, prepared by a famous chef and served in surroundings of remarkable splendour. As I drank from sparkling Riedel glasses (the Vinum range) and ate with gleaming Christofle cutlery from the best Bernardaud porcelain, it struck me that the Bristol Restaurant was not only expensive: it was also good value. I began with blue lobster, with honey and coriander vinaigrette, chilled green apple and white radish. It sounds fairly straight forward, but there was actually a lot going on here. This dish was precise, delicate, intricate and beautifully made. If I may be allowed to compare a plate of food to a wrist watch, it was like a compliqué by Patek Philippe. Next was macaroni, stuffed with black truffle, artichoke and duck foie gras and gratinated with Parmesan cheese. This was prettily presented. 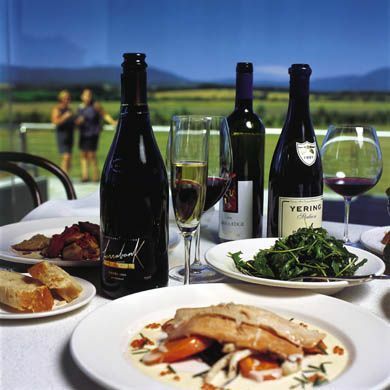 Its robust flavours went well with a glass of 1999 Dom Pérignon. My main course brought some super meat. Rack and saddle of suckling lamb was both tender and tasty, and came with carrots cooked in turmeric and chick pea and cumin mash. The concluding hot soufflé was utterly delicious and captured the essence of tangerine. It came with iced tangerine sorbet and a tiny glass of mandarine impériale. The wine list of Chef Sommelier Jérôme Moreau offers hundreds of those bottles which make the French most proud. Prices run from 38 euros for a white from the Jura to 16,470 euros for the 1961 Pétrus, with many wines in the 60-100 euros range. Lovers of burgundy and bordeaux will find in this cellar the bottles of which dreams are made. Here is a little selection for you (all the prices are in euros): 1990 DRC Montrachet (2,680), 1990 Romanée-Conti (13,800), 1947 Yquem (7,880), 1945 Lafite (8,330), 1945 Cheval Blanc (7,765), 1947 Latour (4,800) and 1961 Margaux (3,660). From my own drinking, I will recommend the 2000 vintage of the second wine of Chateau Montrose – quite austere, with no hint of that New World ripeness which is now so popular, but with an intriguing blend of blackcurrants and damp cellar (Dame de Montrose – 95 euros). Each morning I returned to this handsome chamber (now more brightly lit) for breakfast (51 euros). To my table waiters in tailcoats brought coffee, pastries and glasses of freshly squeezed Granny Smith apple juice. 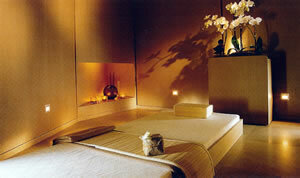 (I will mention here the excellence of the service I encountered throughout the hotel. 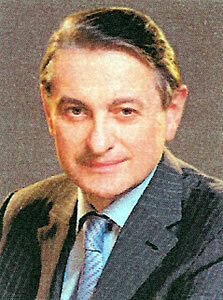 The General Manager, Pierre Ferchaud – pictured – has a team of which he can be proud.) From the buffet I made it my habit to secure dishes of pineapple, stewed pears, Rice Crispies and bread and butter pudding (yes, bread and butter pudding) and a plate of crispy bacon. All these comestibles were of the highest quality. My days at Le Bristol started well. And how were things at the Elysée Palace? I do not know, for my invitation must, on this occasion, have been mislaid in the post. But I do know how things were at the Hôtel Le Bristol. 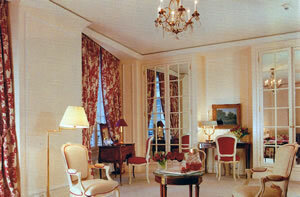 Le Bristol was - as she always is - warm, welcoming, immaculately turned out and deliciously glamorous. In truth, Le Bristol is the perfect place to stay in Paris if you are visiting the President of the French Republic - and even if you are not. 112 rue du Faubourg Saint-Honoré, 75008 Paris, France.